These are very similar to turn over top carrier bags, except they have a larger lip which covers the top of the bag. This allows for the addition of a permanent peal and seal strip, ideal for the new EU airport legislation which requires all liquids to be carried in clear plastic bags onboard flights. These can be produced with a permanent, resealabel or security tape, with or without a pocket. Although the LDPE can be printed up to 8 colours it is advisable that these are left as plain as possible for security reasons. A small airline or airport logo with some brief details is as much as advisable to add to these bags. Subject to a minimum order quantity it would be possible to add a fire retardant additive to the polythene making the bags even safer for airline travel. For quotations please call us on the number above. 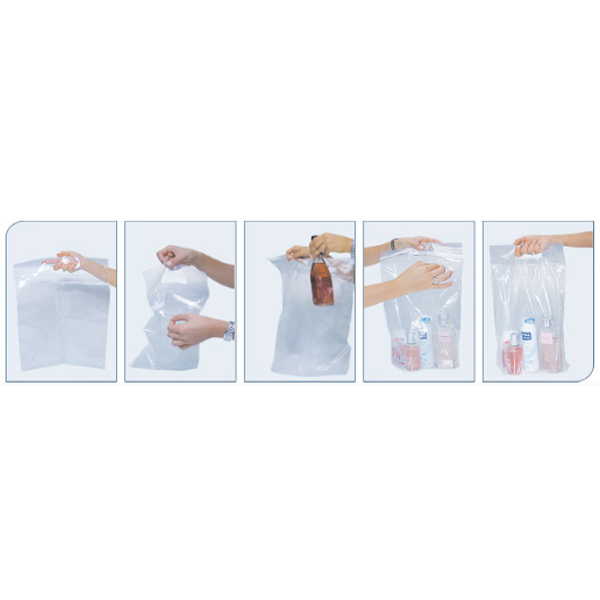 We supply many styles of duty free sealable bags. The Companys staff love to help clients buy bespoke duty free sealable bags. To start designing your choose by material or different styles of , please contact our staff via our contact page.